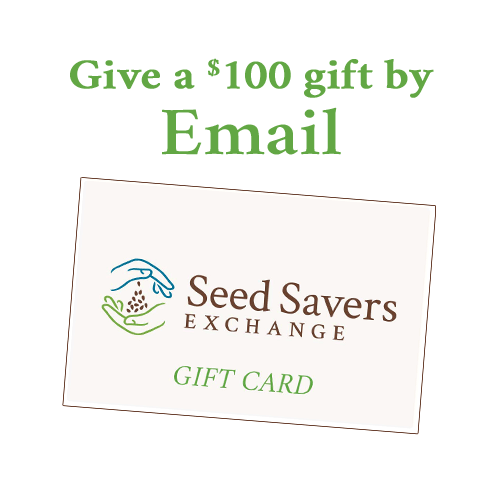 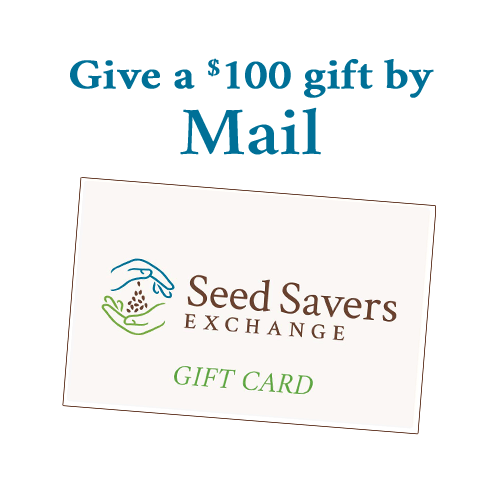 Seed Savers Exchange Gift Cards are great ideas for any occasion. 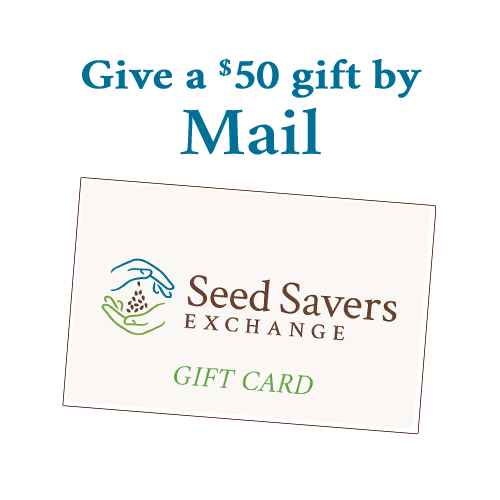 Choose mailed cards or e-cards from the options below. 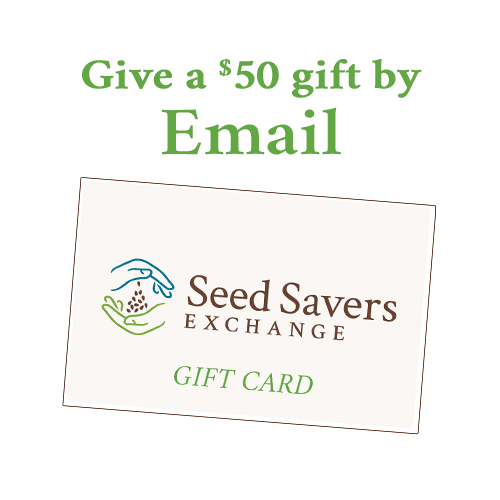 Gift memberships are also available.